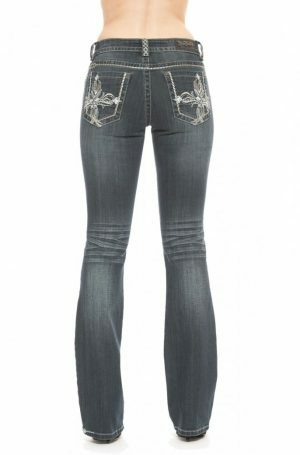 Dark wash bootcut jeans featuring crystal details on front and back pockets. 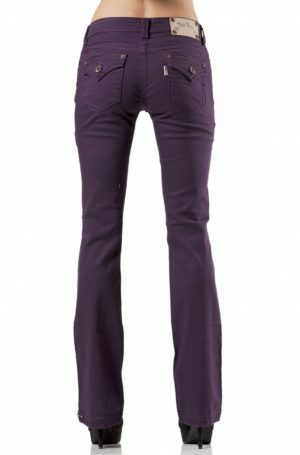 Signature crystal hem. 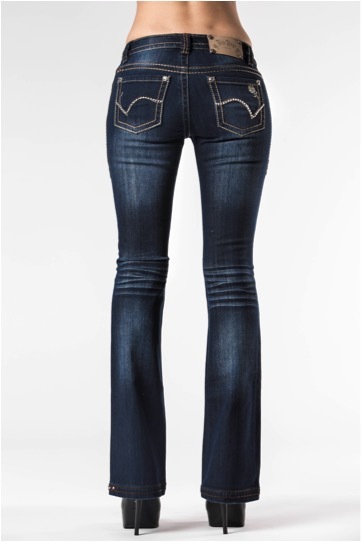 Sizes are in Australian sizes, so please select your regular jeans size.